How does the Sculpsure™ procedure work? Based on the principle of thermo-lipolysis (the technical term for fat destruction using heat), Sculpsure™ utilises controlled delivery of gentle laser energy to selectively heat and destroy fat cells (also known as adipose tissue). The laser beam safely travels through the skin and targets only the fat cells underneath. It does not affect any other tissue surrounding the fat. This targeted heating of fat cells destroys their inner structure and thereon melts them. What happens to the fat cells once they are destroyed? Following the selective exposure to laser energy, the fat cells undergo a natural process of cell destruction. The body’s normal metabolic processes gradually excrete the dead fat cells safely from the body. Sculpsure™ is FDA and TGA approved based on its excellent safety profile. Hundreds of thousands of treatments have been safely performed in the world over the past decade. There have been no short-term or long-term side effects documented. Most patients tolerate the treatment exceptionally well. Sculpsure™ is marketed as a painless procedure in the media. However, in our clinical experience, some patients do report feeling mild to moderate discomfort and a warm tingling sensation earlier on during the procedure. This is of a temporary nature and can easily be managed using inhalation anaesthesia (laughing gas) for a majority of patients. Sculpsure™ can be used anywhere on the body, but it is typically used for targeting excess fat around the abdomen, love handles, back, stomach, thighs and arms. How is the Sculpsure™ procedure performed? Sculpsure™ is a lunchtime procedure, meaning that it takes less than 30 minutes for us to treat one area. During the treatment, a series of non-invasive applicators are applied to the skin’s surface. 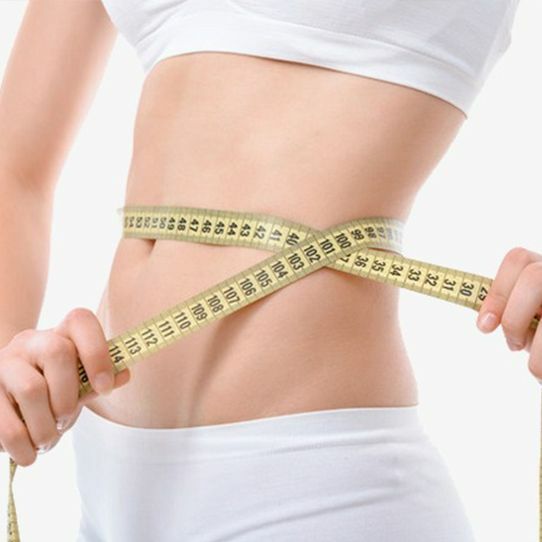 These applicators deliver precisely controlled laser energy of a specific wavelength to target and melt the fat cells in the area selectively. Once in position, the laser applicators remain on the skin for approximately 25 minutes per treated area. During this time you will be able to sit or lie comfortably and read, work on your laptop, listen to music or watch television. What is meant to happen after the procedure? Immediately after the procedure, the treated areas may feel warm and appear pinkish red with some swelling. Certain patients can feel temporary discomfort and a warm tingling sensation. However, this is of a temporary nature. Following the procedure, most patients typically resume their normal activities and can resume work and light exercise on the same day. When am I able to see the results? Visible results are observed over a period of 2 to 4 months following the first treatment and may be enhanced with a subsequent follow-up treatment if required. Most patients can expect to see a 20% to 35% loss of fat after a single session. How many sessions are needed to achieve the best results? The number of sessions required will differ from patient to patient. As each patient’s needs are different, the Sculpsure™ treatment plan will vary. Other factors that affect the personalised treatment plan include the patient's body’s response to the treatment and its natural waste elimination process. The body will naturally excrete the melted fat cells, and when or how much this will occur will be different for each patient. Yes. Fat cells destroyed by this procedure are permanently removed from the body. However, new fat cells can form in the treated area if the patient fails to maintain a healthy lifestyle, consumes excessive calories and stops healthy levels of physical activity. What is the downtime associated with this procedure? There is some soreness post-procedure, but this does not prohibit patients from doing any normal daily activities or exercising. Despite being a laser treatment (where the laser works on cells beneath the skin rather than on its surface), people of all different skin colours can use Sculpsure™. For a majority of patients, Sculpsure™ entails no downtime. We recommend light exercise as soon as the patient feels ready. Should I follow a strict diet and exercise program following the treatment? Most patients feel more motivated to take care of themselves after their Sculpsure™ treatment. However, it is crucial for one to maintain a healthy lifestyle after any fat reduction treatment to ensure long-term results. The number of fat cells stored in our bodies typically remain constant throughout adult life. After the Sculpsure™ treatment, the destroyed fat cells will never return. However, as we lose weight, the amount of fat cells becomes smaller, but typically do not decrease in number. Even with diet and exercise, many people have difficulty losing weight in these trouble areas. Am I a good a candidate for this procedure? Sculpsure™ is the ideal procedure for anyone wishing to get rid of excess body fat but who may not want to undergo surgical liposuction surgery. Sculpsure™ is not a weight loss procedure and thus, is not intended for use with grossly overweight patients. The cost of this procedure depends on the body areas treated and the number of applicators used. Prices start from $300 per applicator (unless we are running a special promotion). To give you a rough idea, an average adult female may need 4 to 8 applicators to target the entire area of abdominal fat. Why should I choose Medisculpt™ for my Sculpsure™ procedure? Medisculpt™ in Subiaco is one of the handfuls of clinics in Australia that offer the entire spectrum of surgical and non-surgical fat reduction treatments under one roof. We are better qualified to advise you about the most appropriate treatment option for you based on your individual concerns, expectations and budget.